PPG Industries is a leading international chemical company that supplies a wide range of consumer products, construction materials, industrial products, and transportation products to customers all over the world. Among others, the company is deeply invested in sustainable development and innovative production processes. PPG Industries supplies fiber glass, glass, optical products, specialty materials, coatings, and paints to all five continents. The company employs an estimated 46,100 people, with 7,300 in Asia, 5,900 in Latin America, 14,700 across Africa, the Middle East and Europe, and 18,200 in the U.S. PPG is ranked in the Fortune 500 and its shares are traded on the NYSE, under the ticker PPG. 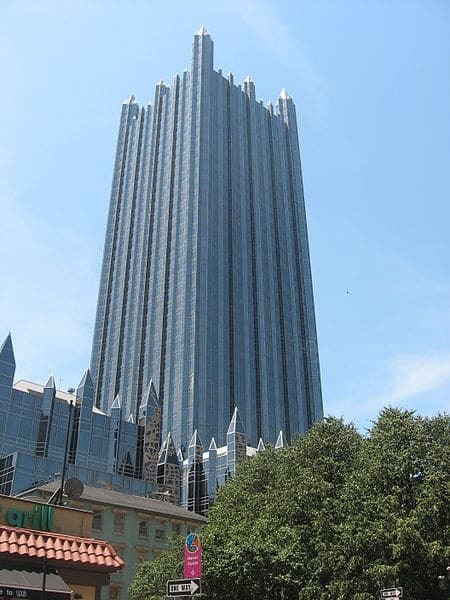 The Board of Directors at PPG Industries comprises 9 members. Only one of the 9 is an employee of the company. The current CEO and chairman of the Board of Directors at PPG is Charles E. Bunch. According to the structure laid out in the Corporate Governance Guidelines, there are 4 standing committees, which are made up of non-employees who are also members of the PPG Industries Board. The 4 committees include the Technology and Environment Committee, the Officers-Directors Compensation Committee, the Nominating and Governance Committee, and the Audit Committee. 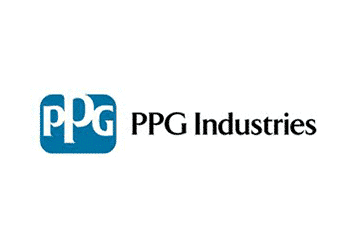 PPG Industries operates multiple businesses including the following areas: Fiber Glass, Flat Glass, Automotive Refinishing, Industrial Coatings, Automotive OEM Coatings, Packaging Coatings, Architectural Coatings, Aerospace, Protective and Marine Coatings, and Specialty Coatings and Materials. In terms of innovation, develops leading technologies across its business units, and innovative approaches to products and processes that include: consumer products, construction, industrial, transportation and aftermarkets. Sustainability is at the heart of the innovative techniques utilized by PPG, and energy conservation is high on the agenda. Examples of its innovation include organic OLEDs, Envirobase for artists, and enhanced fuel efficiency measures. PPG Industries’ CEO, Charles E. Bunch, has committed himself and the company to sustainable development. It continually strives towards achieving its 2020 pre-stated objectives on sustainability and has shown progress in meeting these challenges. Among others, the sustainability initiatives are geared towards greater energy efficiency, bolstering the pipeline of sustainable products and ensuring the well-being, safety and health of employees. The company works hard to maintain low injury and illness rates, a reduction in greenhouse emissions, a greater percentage of sales from sustainable products, community engagement at all levels and wellness programs globally. The company is listed in the top 200 of the Fortune 500 list, and its employees have a 5% vested interest in PPG’s stock.